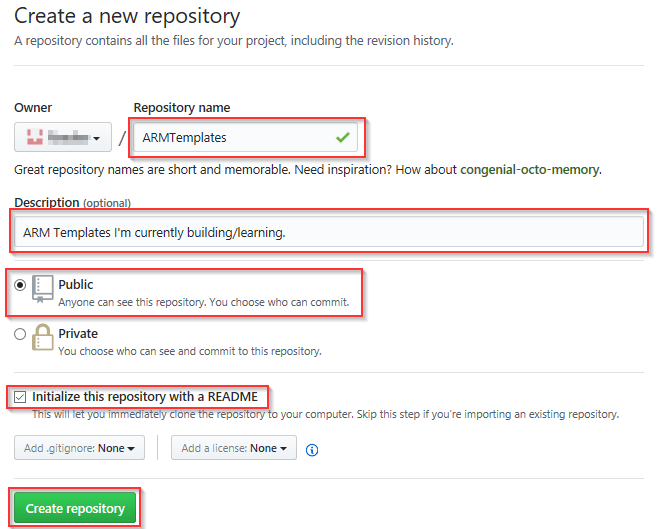 The above GitHub repo is a great place to start as it has a massive collection of templates ranging from introductory to really quite advanced, and although advanced is my goal, let’s start with something more manageable. I suggest having a look at the above link when you get a minute as I think it’s a great example of putting a template together. Now, as I said above, I used this template as my base for learning purposes. From here on out we’ll we discussing the template I created from it, as jumping back and forward between them is likely to get confusing quickly. 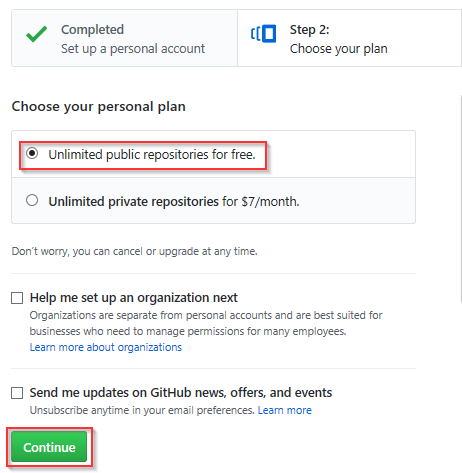 NOTE: If you already have an Azure subscription and a GitHub account, feel free to skip this guide and move immediately on to part 2 where the fun stuff begins. 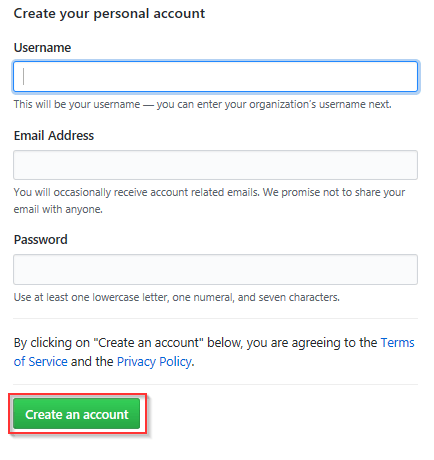 You’ll be prompted for to confirm your name, email address and region. 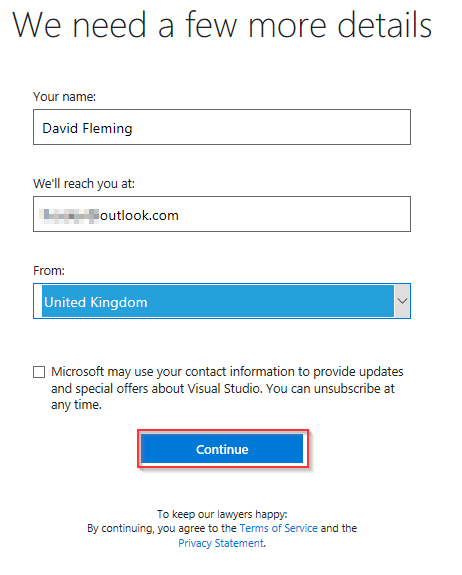 You can also choose to opt in for some MS marketing material if that tickles your fancy. NOTE: You’ll now be asked to enter credit card details to confirm your identity. 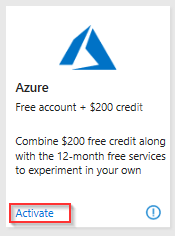 You will NOT be charged anything for doing this and there is no roll on once your free Azure credit expires. 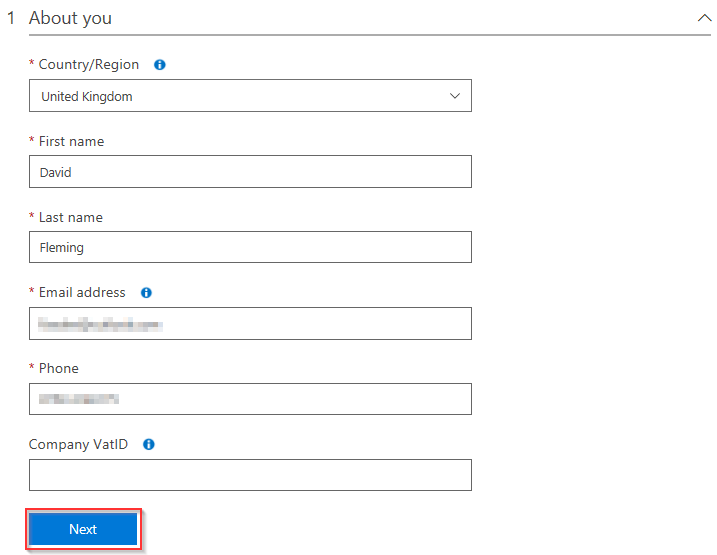 After the 30 days your account will change to a “Developer Program Benefit” subscription where you will have access to £20 of Azure credit per month, if you exhaust those credits in the month, any services you are running will stop, you will not be charged at this point either. OK, so now that we’ve got that out of the way, let’s leave the portal behind for the time being, we’ll come back to it later. This part isn’t strictly required but using GitHub as a repository for your ARM templates is a good habit to get into, plus I want to go through README file configuration and how it gets parsed by GitHub, but we’ll get to that later. NOTE: We’ll be creating a public repository as it’s free, which means anything you place in this repo is publicly viewable, that should be an issue though as we’ll not be putting anything sensitive in our templates. OK, so now we have a GitHub account with a repository ready to go, and an Azure subscription waiting to deploy into. One caveat before we continue. 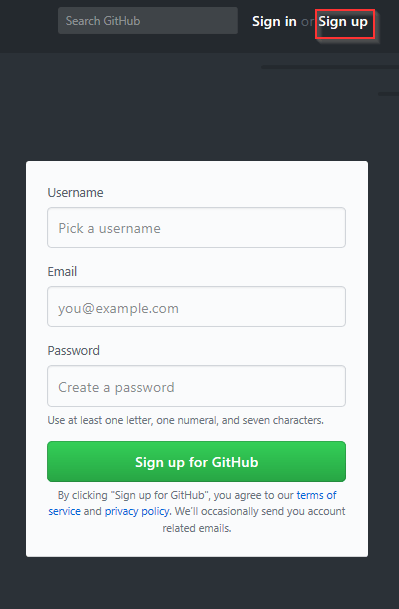 This guide will not focus on the best way to make use of GitHub, there are MANY fantastic guides out there already that go over that better than I ever could. For the most part, we’ll be using the portal for anything we need as it’s where I want to show you the changes as they’re applied, and it’s easy and requires no further configuration. 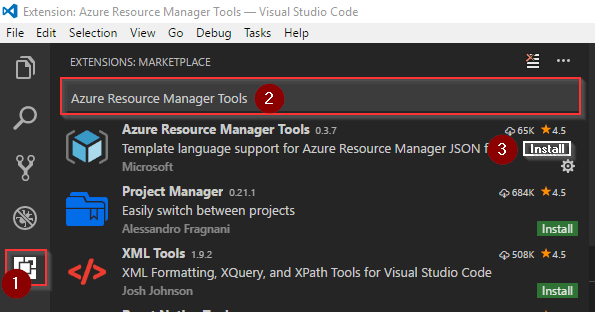 There are many ISEs out there that will fit our particular use case, for this guide I’ll be using Visual Studio Code as it’s become my preferred tool over the last year or so. Don’t feel obliged to use it just because I do though :), pick whatever tool fits the bill and you’re most comfortable with. 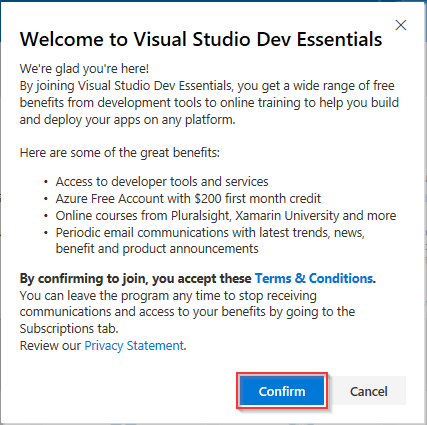 Being that we just set up our Visual Studio Dev Essentials account, log in and click the tile “Visual Studio Code” to download and install the tool. Choose the correct architecture for your OS (x86 or 64 Bit), run the installer and launch the program. One of the benefits of this ISE is the ability to add “Extensions” to increase or augment its functionality. 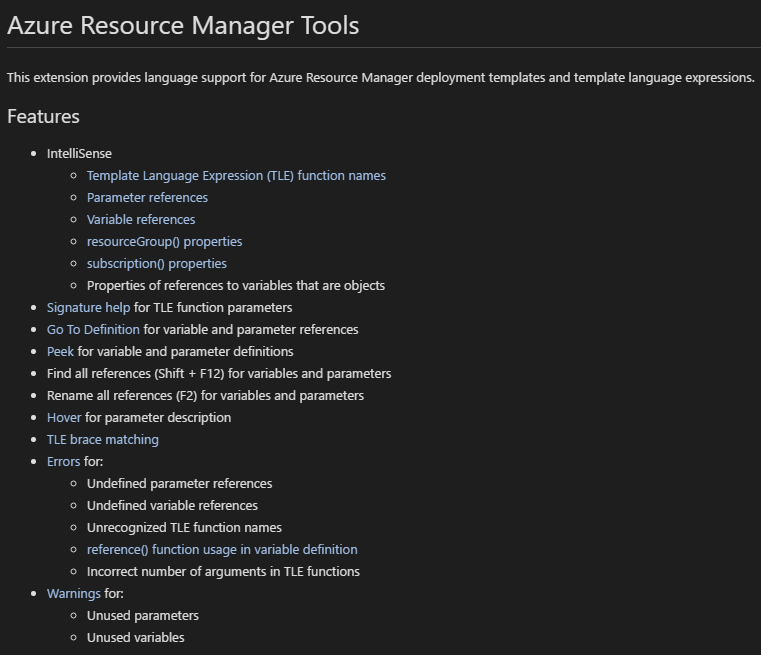 With that in mind we’re going to install the “Azure Resource Manager Tools” extension. This will give us really useful features like “IntelliSense” for the ARM Templates that we’re going to be working with. OK, so I think that’s everything we’ll need going forward. See you in Part 2 where we start diving into the process.